Love walking back in time with you! I think if you go across the street from your map marker, and look at the bingo hall, that is more likely the former Sears location. It still has the garage doors that probably served the automotive department. Thanks so much, Randy! I’ve corrected the Google Street View location. The interesting historical note about your link is that it points to what was once a Wyatt’s cafeteria (in the corner location) and to the right of Wyatt’s a Brad’s Jewelers. Thanks, Craig! I’ve made the correction — what they’ve done with *that* building is even more troubling! Yikes! We would love to have you join our Casa View Neighborhood group on Facebook, Paula. 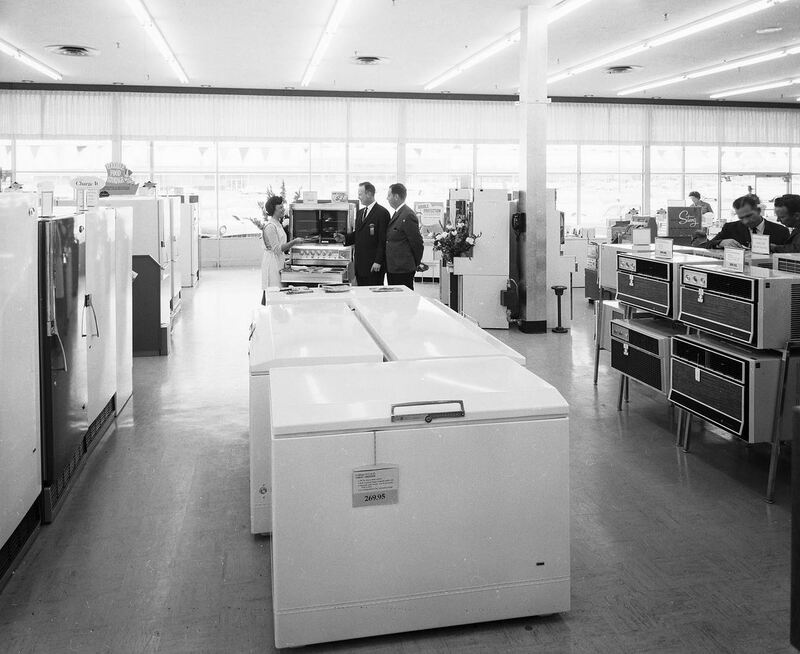 The “little metal doodads” certainly were on the side where Sears was at one time, but they disappeared during a hideous remodel in recent years. And even before that someone painted them WHITE! What?!? Thank you so very very much for this blog! The graphic of the section our store is located! I hunted all over for something and never found anything! Thanks! 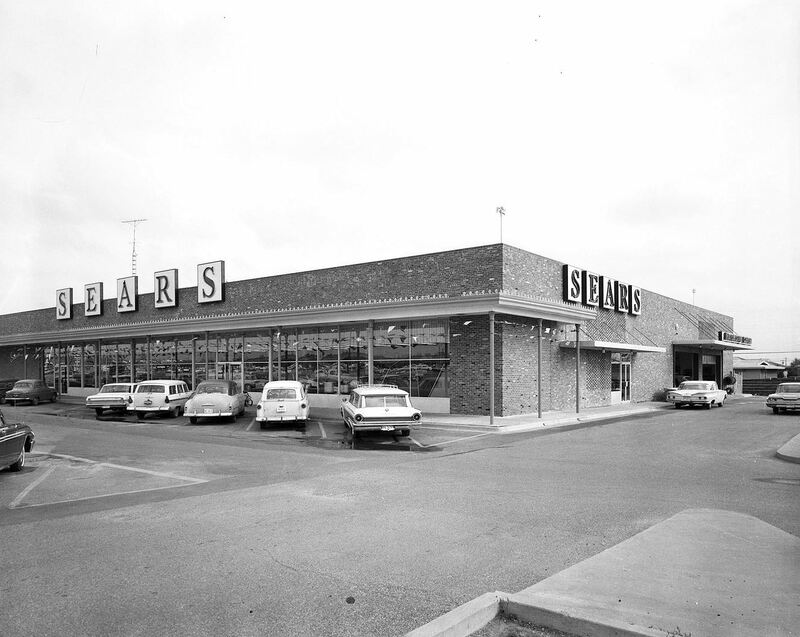 I’ve gone back and edited the post to reflect that Sears had stores (at different times) at 2211 Gus Thomasson and then across the street at 2310 Gus Thomasson (this is seen in the photo at the top). This blog is about our little shopping center. It is so fun to learn a little of the history about our location! My mistake about the color of the “little metal doodads”. It appears in old photos that white was the original color and green came later, probably much later. In fact, it appears that green is the anomaly and white is the dominate color throughout the rest of the shopping center. 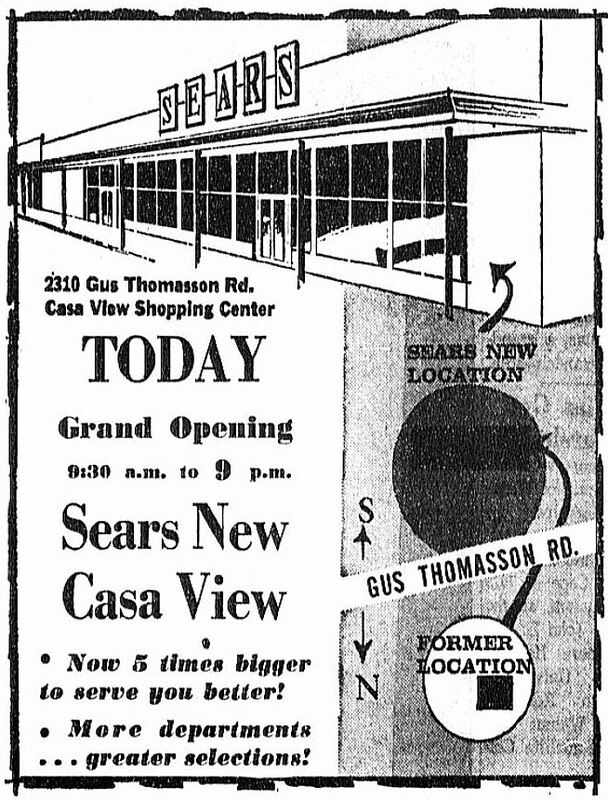 My mom worked at the Casa View Sears store in the late 60’s. Up until the 1990’s that shopping center had kept much of it’s old charm. The Moses store was still there (it always had that dime store smell), and Miss Inez was still jamming at Pat Luby’s cafeteria on Sundays. 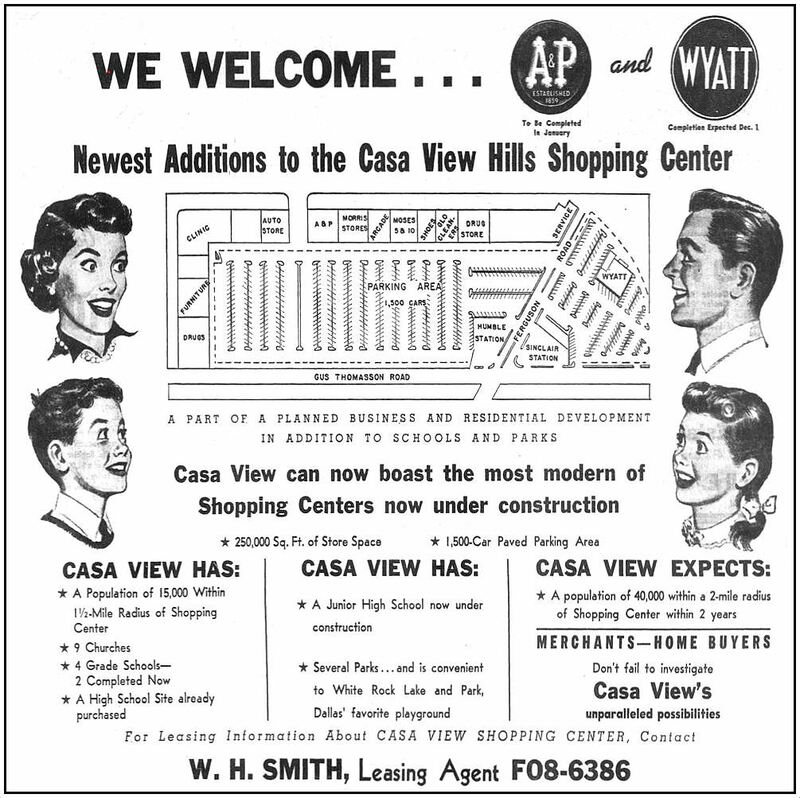 Wow, this made me a little misty…the Casa View I knew in the 80s was still largely unchanged from what it was in the 50s. The Sears, Wyatt’s Cafeteria, ME Moses…one question I have though was about the real estate ad that mentions a middle school. Is that referring to Gaston, Long, or possibly even Kiest, which I’m told went through to 7th grade at one point. When I went there it only went to 3rd, and I was bused to to Lakewood. Correction above…I said “Long” when what I meant was “Hill”. When you live in the basically the same 10 square mile radius your entire life, it all starts to blend together.